The holidays can be a tricky time when you’re trying to maintain your waistline. With Thanksgiving right around the corner, fighting the urge to indulge in buttery mashed potatoes, thick gravy, tasty stuffing and sweet pumpkin pie is nearly impossible. Luckily for ONE Mission Bay residents, you don’t have to deny yourself a second helping because the perfect solutions to staying in shape are right in the neighborhood. We’ve broken down two community favorites that are sure to keep you active this season. Barry’s Bootcamp – Just a short six-minute walk from ONE Mission Bay is a workout studio unlike any other. This upbeat strength and cardio interval fitness class will keep your heart racing and body engaged throughout the one-hour duration of this class. Barry’s Bootcamp is comprised of motivating instructors that will inspire you to work harder than ever before, so you are almost guaranteed to start seeing results quickly. 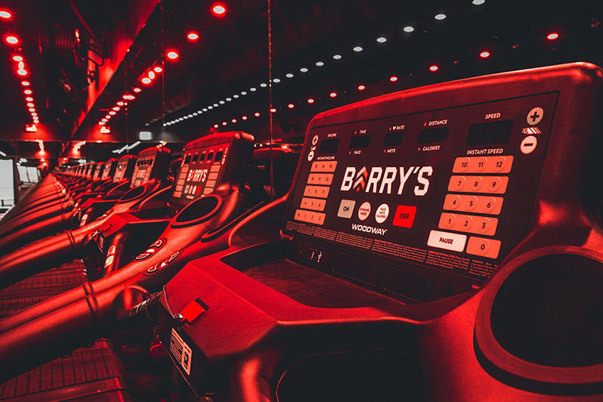 For those who don’t enjoy running, Barry’s even offers a Double Floor class that is treadmill-free unlike their original class that is a combination of running and lifting. Barry’s Bootcamp is accommodating for people at all levels of fitness and each class is unique so you will never get bored of the same routine. Classes start at $34 and there’s a variety of class pack options as well. It’s been verified that one class can burn around 1,000 calories, so go ahead and eat that extra slice of pie! Kayaking in San Francisco Bay – For a physical activity that is a little more nature-esque, kayaking in the Bay is the place to go. 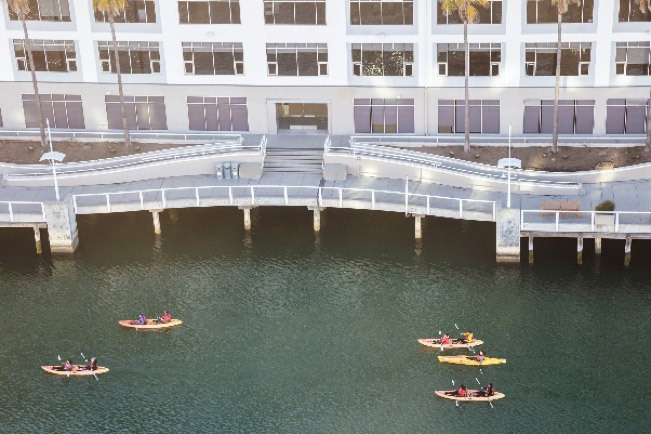 City Kayak operates right off of South Beach Harbor and Pier 40 which is easily walking distance from ONE Mission Bay. Offering rentals, classes, and guided tours for all ages, this activity is perfect for the entire family to enjoy. Explore the Bay from a different perspective and get a close-up look into McCovey Cove, the Bay Bridge, and Mission Creek as you get to know the beauty that surrounds ONE Mission Bay. Rentals start at $35 per hour for a single kayak and rates vary from there depending on which of their many kayak options you chose. Have a furry friend? Bring them along because dogs are welcome to join in on the sightseeing as well!